Okay, so I just downloaded my pictures from the last few weeks and realized I have not yet shown you our awesome Halloween costumes. 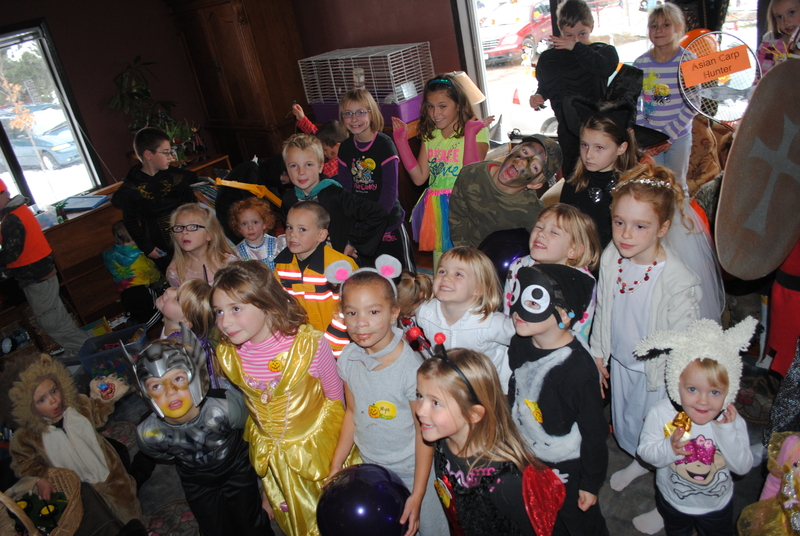 We were invited to a great Halloween Party the Saturday before the big day. 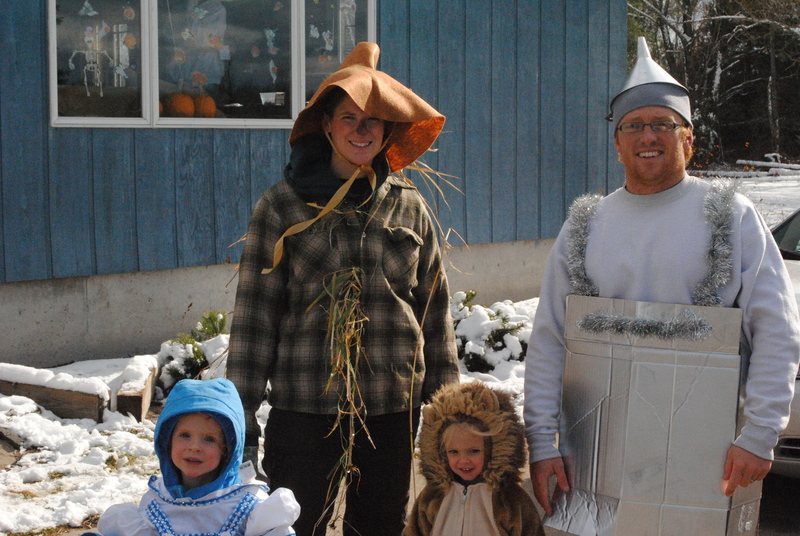 I thought it might be fun if Jared and I put on a costume as well as the kids. I was looking around to see what we had around the house and made a few calls to friends to make it work. 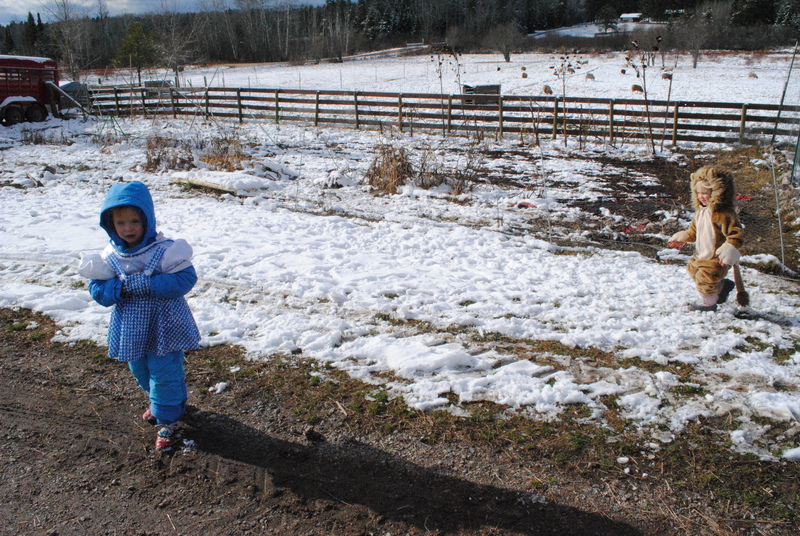 can you see Aleah’s red shoes? 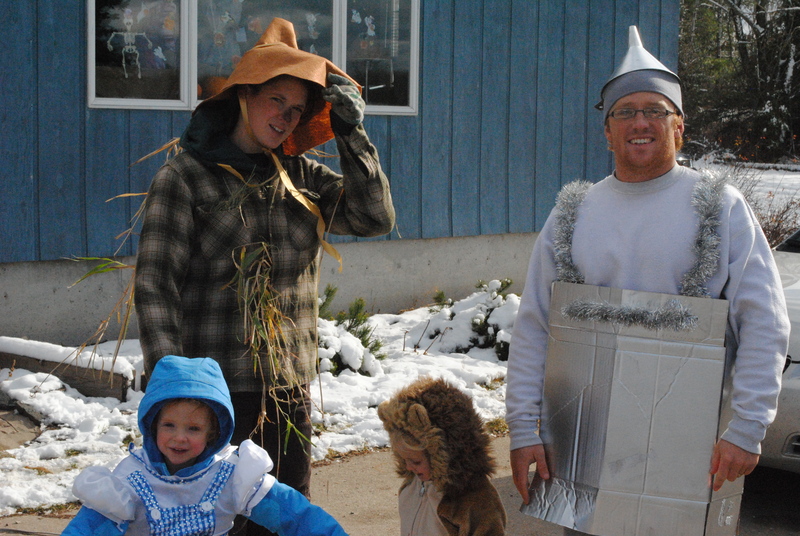 We went to the party as the Wizard of Oz! 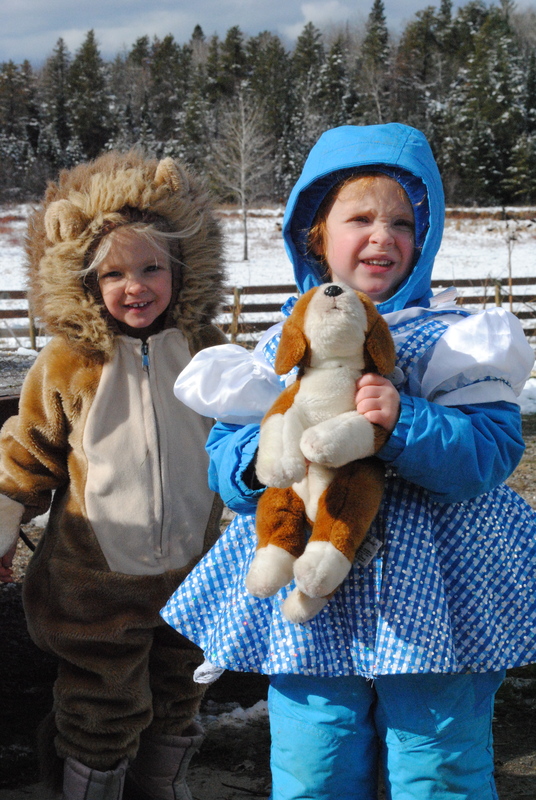 I had to cut Aleah’s Dorothy costume that she got for Christmas a few years ago so it would fit over her snowsuit. Sophi’s lion costume we borrowed from some family friends. 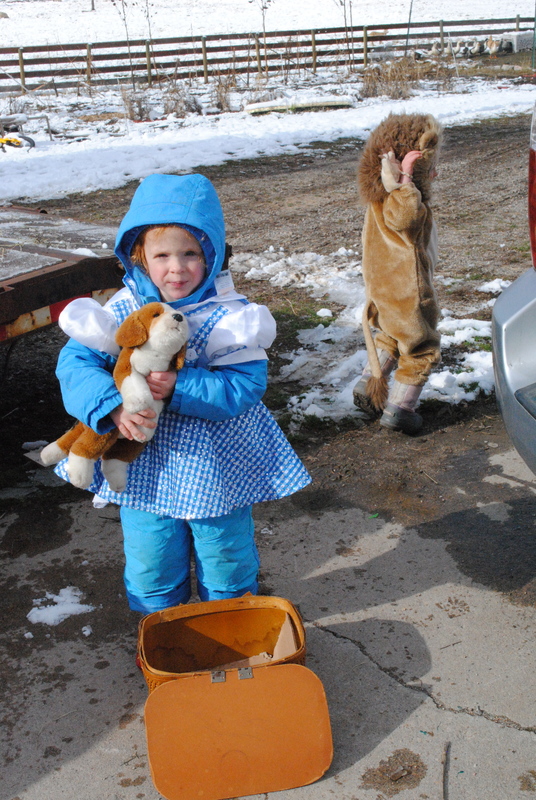 My costume was one of Jared’s flannel shirts, some brown pants and rain boots- all with some tall dead grass from the edge of our yard shoved everywhere. And I made the hat out of brown felt, it looked too much like a witch hat until I pushed the top in a bit. 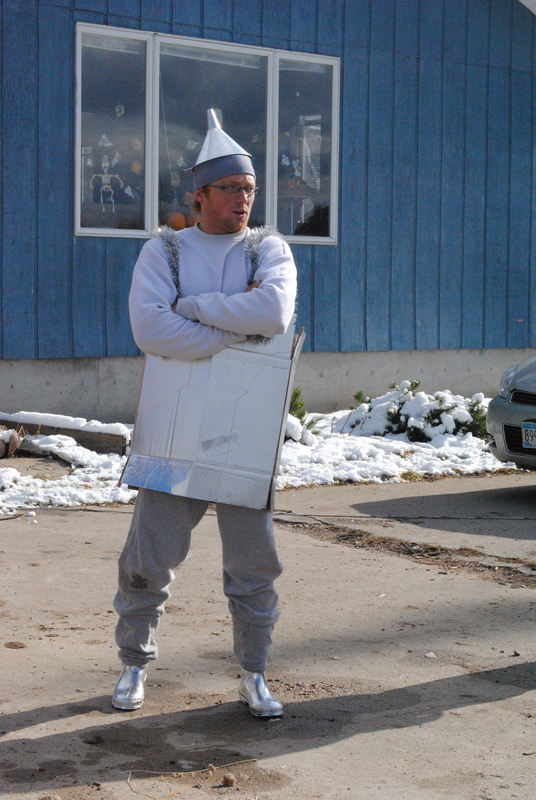 For Jared’s tinman costume I spray painted some rain boots and a box silver. He wore a grey sweatshirt and sweatpants. 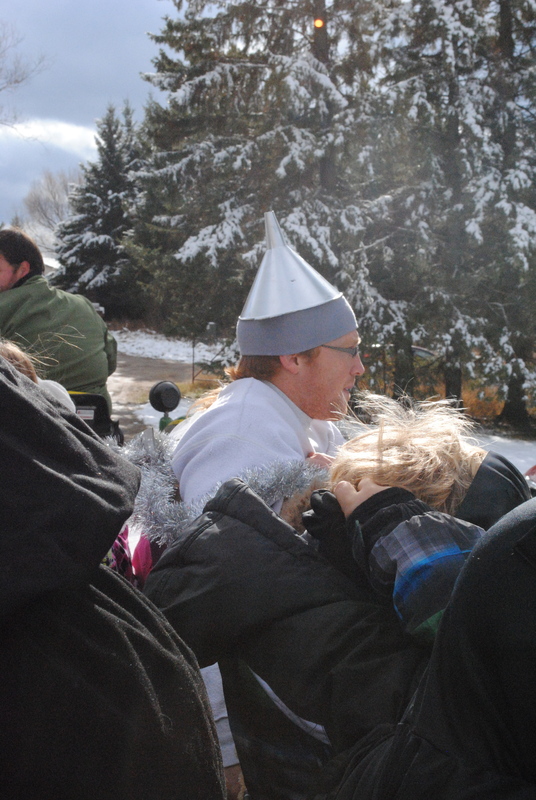 The best part of his costume was his funnel hat. I tried to make it out of felt but it did not look quite right. So I “borrowed” one from his workbench spray painted it silver and hot glued it to a headband. Oh yeah- it looks pretty darn awesome. AHHHHH! You guys are so awesome. Best family costume ever!!!!!! Nice work, well done.